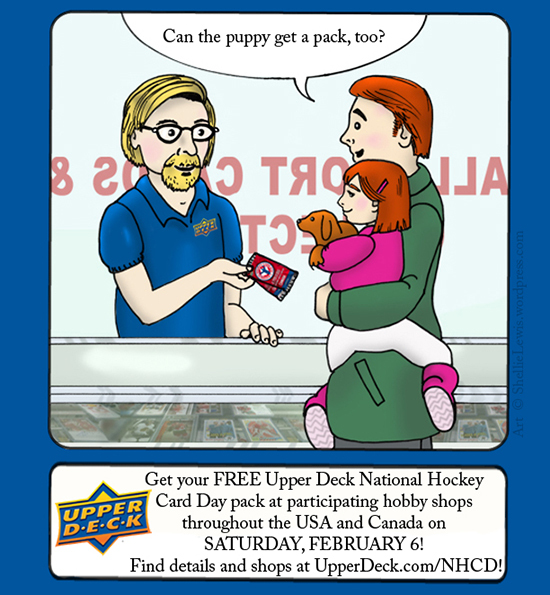 Get FREE Packs of Upper Deck NHL® Cards for National Hockey Card Day on Saturday, February 6! Saturday is the day where anyone can walk into a hobby shop and receive a FREE pack of hockey cards for National Hockey Card Day courtesy of Upper Deck, the NHL®, the NHLPA and the company’s incredible network of dealers throughout the United States and Canada. You can view participating retailers at http://upperdeck.com/nhcd/. 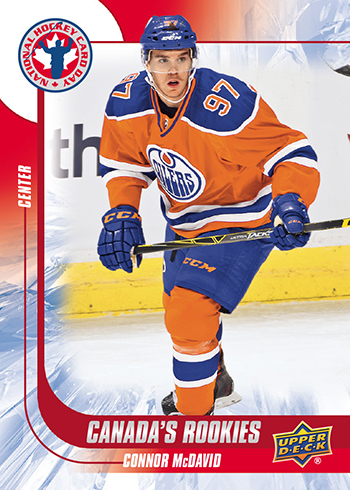 Make sure to check out the shops you visit, because if you purchase $10 in Upper Deck product there, you can also receive a rare 16th card while supplies last featuring Draft Day photography of Connor McDavid in Canada and Jack Eichel in the U.S.A. The event takes place on Hockey Day in Canada where all seven of the Canadian franchises will be in action. Many of the shops will have games on during the day and run a variety of promotions and specials for those in attendance. You may want to call ahead before attending to see what they have in store so you don’t miss out on anything! Inside packs fans can find a great assortment of rookies, veterans and legends from their favorite players and teams. Fans may also discover rare autographed cards and a special unannounced set that will be sure to get collectors talking. Fan in Canada can also visit the Hockey Hall-of-Fame, London Drugs or Toys ‘R’ Us to get cool 8-card sheets of these special promotional cards. Make sure to take pictures of the fun you are having throughout the day and share with us on our Facebook Timeline, on Twitter (@UpperDeckHockey) and on Instagram (@UpperDeckSports). Make sure to use the hashtag #NHCD so we can track your posts! Also, make sure to check out our network of Authorized Internet Retailers, many of whom will be running promotions for packs. 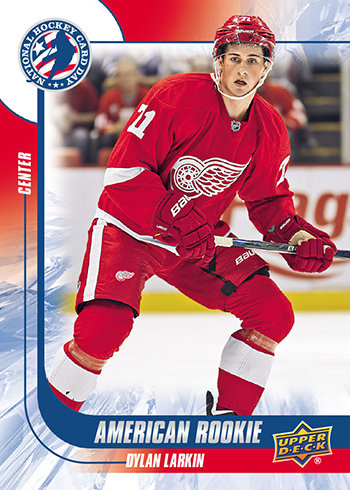 We will also be running a promotion here on the Upper Deck Blog next week were fans can score some free packs as well! Make sure to check back for that!